Purchasing a used car can be stressful, except when you are buying a Honda certified pre-owned car. Honda certified pre-owned cars offer the advantages of buying a new car, without having to pay a new car price. All Honda certified pre-owned cars are backed by Honda, ensuring that they are the highest-quality cars on the road. The cars must pass multiple tests and meet requirements in order to become Honda certified. An intense 182-point inspection on the mechanical components and the appearance of the vehicle, performed at a Honda dealer, by Honda-trained technicians, to ensure that each vehicle meets Honda standards. Honda-trained technicians will inspect all critical vehicle systems, including engine, drivetrain, suspension, tires, wheels, and interior and exterior quality. Dealer technicians recondition any part of the car that does not meet Honda-certified standards. Any vehicle part that cannot be reconditioned is replaced with Honda genuine parts. A limited powertrain warranty covers engine and transmission components for up to 7 years/100,000 miles. A 12-month/ 12,000-mile limited warranty is added for non-powertrain components. Each Honda certified pre-owned car comes with a free CARFAX report to show maintenance history. With the extensive certification process that all Honda certified pre-owned cars go through, it is no surprise that it is as if you were purchasing a brand new car. 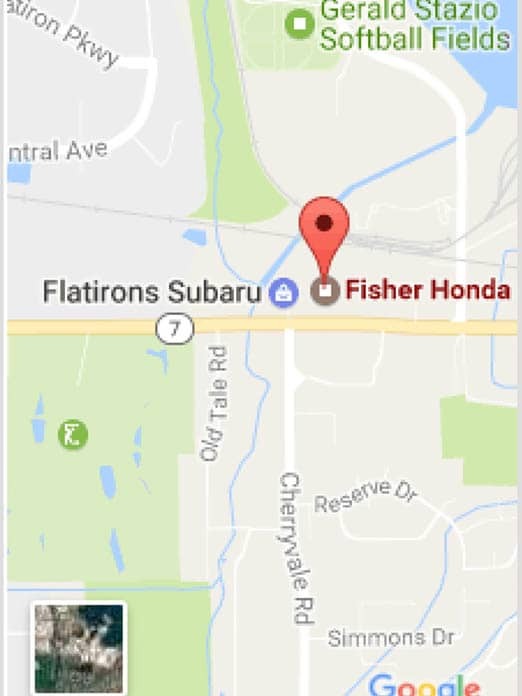 At Fisher Honda, we have several models that are Honda certified. Please feel free to contact us or stop by our dealership if you have any questions.